Is road cycling dangerous? What are the chances of being hit by a car while riding on the road? Can cyclists manage risk while riding in a shared bicycle/car environment? The perception is that road cycling is more dangerous today than a decade ago. And, that driver distraction and higher traffic volume have increased the risk and frequency of car/bike accidents. There is one problem with this perception: The data does not support it. In fact, there is data to suggest that road cycling is statistically safer today per rider than ten years ago if you compare the frequency of reported accidents to the rate of growth in road and triathlon cycling. Gina Kolata is a writer for The New York Times. In an October 2013 article published by the Times she wrote, “What remain [in cycling safety studies] are often counterintuitive statistics on the waxing and waning of cycling in the United States, along with some injury studies that could give cyclists pause.” By contrast, in the Fatality Analysis Reporting System (FARS) 2004-2012 Final File, 2013 Annual Report File (ARF) published by the U.S. Department of Transportation we actually discover only a 2.8% increase in reported cycling fatalities, from 727 in 2004 to 743 in 2013. This statistic is particularly relevant since cycling fatalities must be reported by law, whereas non-fatal accidents have no formal reporting requirement even if the victim receives medical treatment. Even if you discount the statistics for cycling fatalities and triathlon growth each by 50%, the trend remains clear: Serious road cycling/car accidents are becoming less common per rider. Why has the perception of road cycling evolved into a belief that riding on the roads in more dangerous than ever? There are likely several reasons. When you conduct a survey of the literature on cycling accidents you discover that cycling safety statistics are pretty dry, while Facebook and social media posts about accidents are pretty sensational. This proliferation of social media posts about cycling accidents contrasted with boring accident analysis likely contributes to the misconception that cycling is more dangerous than ever. 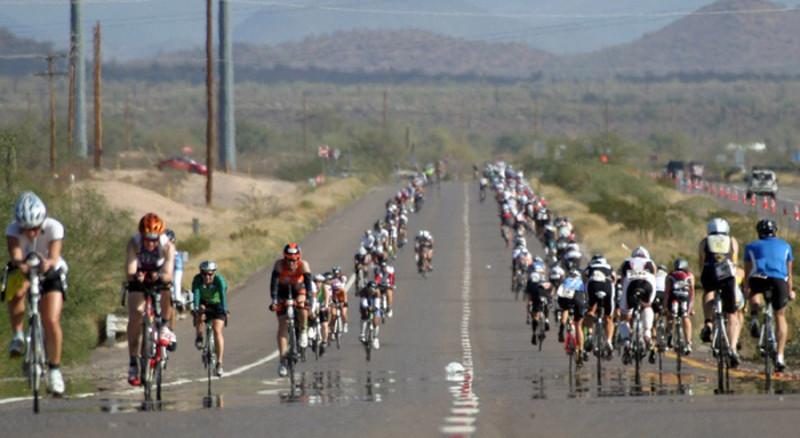 This last decade has produced a new culture of sport cyclists, many of them attracted to cycling by triathlons. Triathlon is fed by several demographics; participants completely new to endurance sports, participants coming into triathlon from distance running, participants coming from a collegiate sports background. None of these three backgrounds emphasize technical bike handling skills. 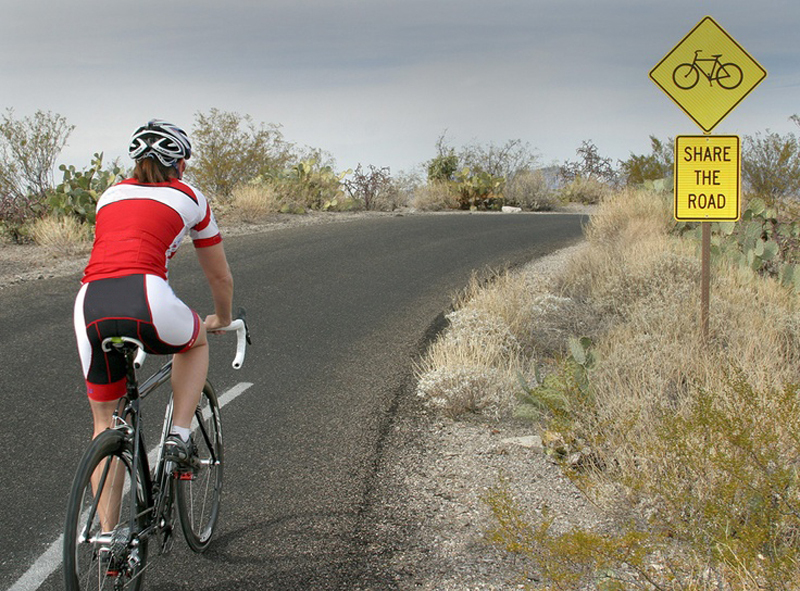 Few triathlon clubs conduct bike handling and group ride skills clinics. As a result this new culture of performance cyclists are racing their bikes on the roads in triathlons but may not be practicing bike handling and real-world road riding skills. But there is more to each of my experiences. In each instance when a car hit me I contributed, partially or entirely, to the accident. In one I was riding in adverse weather, another I rolled a stop sign on a residential street and the third was just after dark when I was caught without lights. In short, I was at least partially responsible for the accidents. In the instance when my best friend was killed, he was riding in the dark on a busy road with a high speed limit by a drunk driver with an obscured windshield. It was the culmination of the most dangerous factors; the perfect storm. Therein lies a lesson: Risk can be managed and moderated, but that management must be willful and methodical. Perhaps the best practitioner of risk management is the military. The military’s model for risk management is simple: Meticulous preparation. Training, learning techniques, drilling key skills again and again. Crawl, walk, run. As a result, soldier preparation and survival on the modern battlefield, the deadliest in history, is better than ever. On both the road and in the water, multisport athletes could take a lesson from military training doctrines in risk management and training for riding in a real world environment. Cyclists have taken an opposite approach: Avoidance. New cyclists tend to seek ride environments they perceive as less risky rather than work on skills for riding in the real world. New cyclists gravitate toward perceived cycling preserves like Metroparks and bike trails. There are three problems with the risk avoidance approach; it does not teach necessary cycling skills, it does not reflect the broader cycling environment and it creates a false sense of security at the possible cost of taking time to learn good bike handling and road cycling skills. In fact, in a strange flip-flop of statistical trends, it appears as though areas around Metroparks in Michigan tend to have a higher frequency of accidents than do remote, rural and even low traffic density urban roads like streets in Downtown Detroit and the Michigan Downriver area. Perhaps the most significant contributor to the cycling-risk dogma is social media. I’ve been a victim, and a villain, of social media misreporting on cycling accidents myself. Several weeks ago a multiple-fatality car accident at a local Metropark was initially reported on social media as a cycling accident. It wasn’t a cycling accident. I shared the reports that the accident was a multiple fatality bike accident. When I learned the accident didn’t involve any cyclists at all, I deleted it from my Facebook page. But the story had already been widely seen and shared. The damage was done. What I should have done is checked the facts before I posted about the accident. While some may suggest Clements’ perspective is skewed by his position in the industry- that this is the fox watching the hen house- the statistics support his suggestion that road cycling is not as risky as the social media dogma has scared us into believing. A key reality is that cyclists must assume responsibility for their own safety. Until they do through improved skill training, selecting better routes and being pragmatic instead of sensational then the inaccurate perception that cycling is increasingly dangerous will continue to proliferate. I agree with most of what you say and the theme of your piece that road cycling appears more dangerous due to treatment on social media. The report you cite (found at http://www-nrd.nhtsa.dot.gov/Pubs/812151.pdf) shows annual cycling fatalities in the hundreds, not in the tens of thousands. 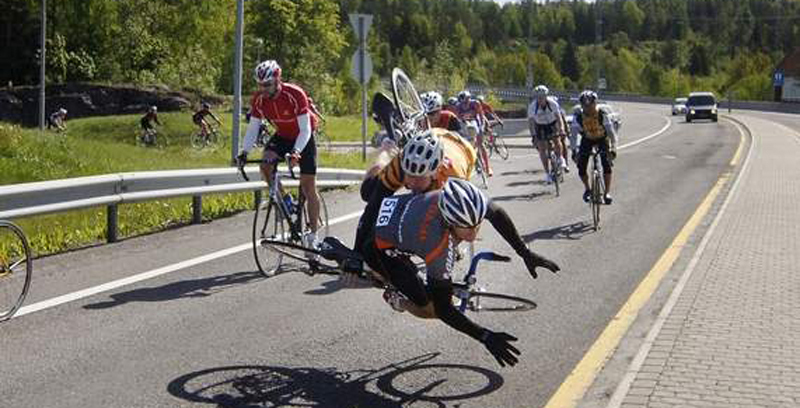 For 2013, the last year reported, total cycling fatalities are listed at 743. Will you correct your piece? Alan, Firstly- thank you very much Sir. You are absolutely correct and the data in the article is correct now. Appreciated Sir. I come to this as a rider rather than a racer. The false perception of cycling as dangerous has many causes:one being the endless promotion of helmets by the industry and uninformed safety advocates. Cycling has increased many times over in the past two decades as cities have installed basic cycling infrastructure and supportive programs such as bike sharing. Everyday riding is safer than many common activities such as climbing a ladder. As someone who’s ridden for 50 years and tens of thousands of miles the number one thing we can do to make cycling safer is to mark bike lanes and otherwise manage car traffic, including lowering speed limits in cities. One no more needs high level of cycling skills to safely ride than car drivers require learning how to drive like a NASCAR driver to be able to drive safely. Great article. Been saying this for years. Saw it shared on Facebook. Sharing. All the hand-wringing about texting and driving is so discouraging to cycling, and not supported by the data. My theory is that texting and driving is not as big of an issue as we expect because we don’t realize how much drivers are mentally distracted much of the time already. So texting is mostly just a replacement source of distraction.